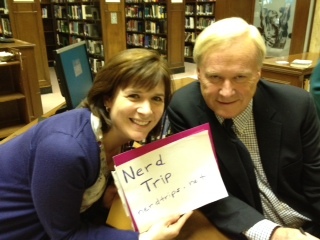 Nerd Trips is taking a Field Trip, and you can too. 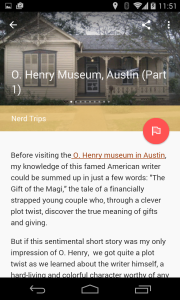 We are thrilled to announce that Nerd Trips is now a contributor to Google’s Field Trip app! Other Field Trip partners range from restaurant bloggers to the Food Network to the Travel Channel and Zagat’s – that’s some amazing company to be in. Here’s how it works. When you install the free Field Trip app on your iPhone, Droid or other device, Field Trip will alert you when you come in close range of something historically or architecturally significant. When that happens, you’ll receive a “card” with content from a Field Trip publisher. 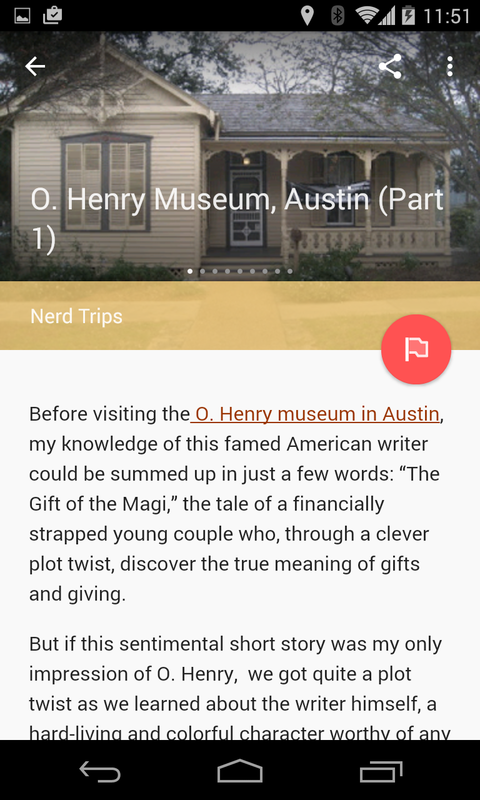 For Nerd Trips, that’s anything from Baltimore’s Poe House to Lincoln’s boyhood home in Indiana to Austin’s O.Henry museum. So Nerd Trips is sort-of part of a global Google experiment. It’s kind-of cool, especially when you think about how often we miss the world around us because we have our faces in our phones. Guess what? Nerd Trips won an award! Nerd Trips earned the silver award in the Travel Blog category from in the Lowell Thomas Travel Journalism competition from the Society of American Travel Writers Foundation. That's right, real travel writers!